Hey guys! Today is another post on a hydrating booster but this is one I use mostly at night. I am very lucky to be a part of the iFabbo blogger network and a perk of that is being able to try out different items. 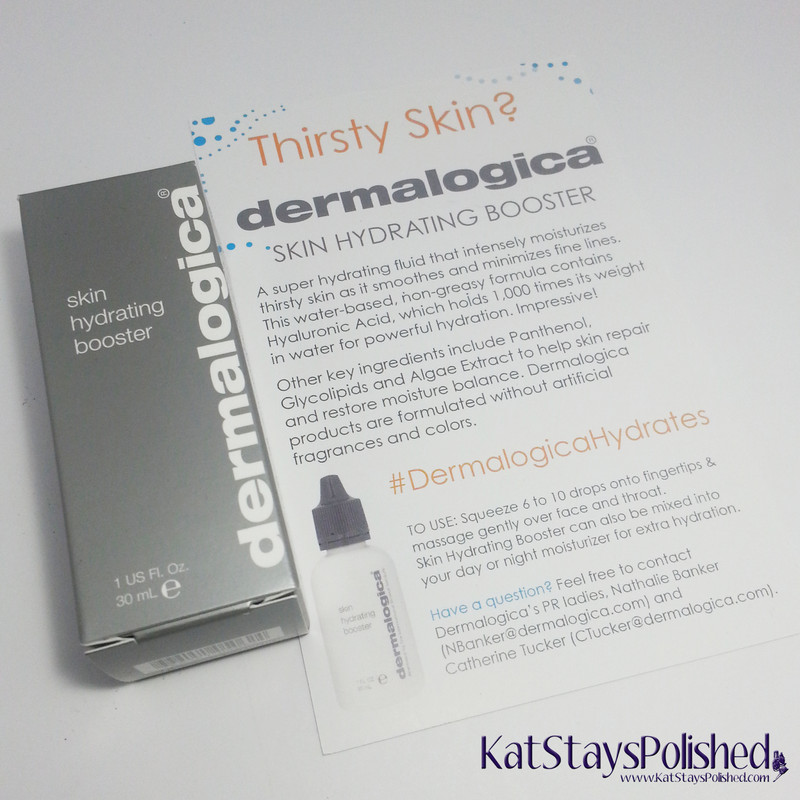 When I saw this Dermalogica Skin Hydrating Booster pop up, I figured I would give it a dry since I sometimes have dry skin issues. The sample I got is a 1 fl ounce bottle and that retails for $56 on the Dermalogica website. Alright, so let's get down to the overall look of the product. It's very simple and basic which is nice. You know exactly what it is when you get it and it comes with a little insert with product information. I do not own any other Dermalogica products so I knew I would be incorporating this into my regular skin care routine. 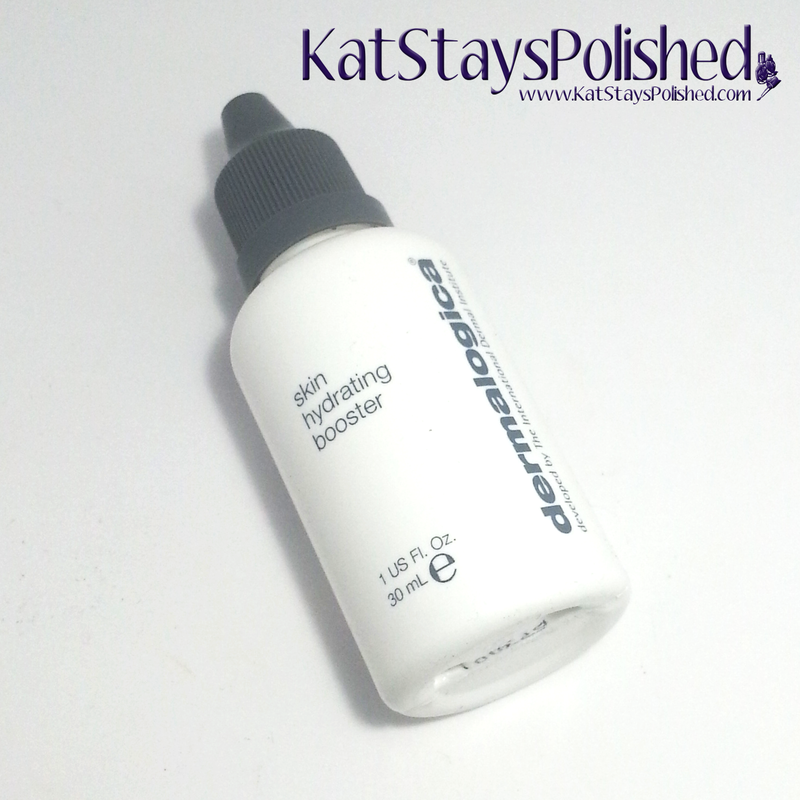 The Skin Hydrating Booster is supposed to hydrate your skin, minimize fine lines, and is suitable for all skin types. When I read this I was happy because although I can have dry skin sometimes, the rest of the time my skin is very oily/combination. This product contains Hyaluronic Acid which is supposed to be fabulous for hydrating your skin! The picture below is the exact amount I used every time I applied this. It's 4 drops of the serum and what I do is pat it between my fingers and then pat it on my face. It dries VERY quickly so I didn't feel like I could run it in. Maybe 4 drops isn't enough but I have the tendency to put TOO much product on my face sometimes. If you need to add some more, the drops are very small so it's easy to control. When I used this, I applied it at nighttime every night and in the mornings sometimes. After I washed my face and applied toner, I used the booster and then followed up with my regular face moisturizer. Each morning after the night application, my face did start to feel a little better. I think with continued use, I will definitely see an improvement in my skin. So, here's the big question for you! What do you think of hydrating serums like this? Do you use something similar in your skincare routine? I'm really happy I was able to test this out because I am going to make it a regular part of my routine...at least at nighttime. Readers can get 15% off any Hydrating Booster purchase. Use code BOOST at checkout! *Product was received through the iFabbo shop. All opinions are 100% honest and my own. Great to hear that its working for you. Its also nice to know that a little goes a long way with it too.